Finland, it was my pleasure to be invited back to Finland by a group of great friends this summer. I’ve been many times before and it is always a highlight of any year. Thank you Jorma, Antti, Jukka, Jukka, Pasi, & Matti. 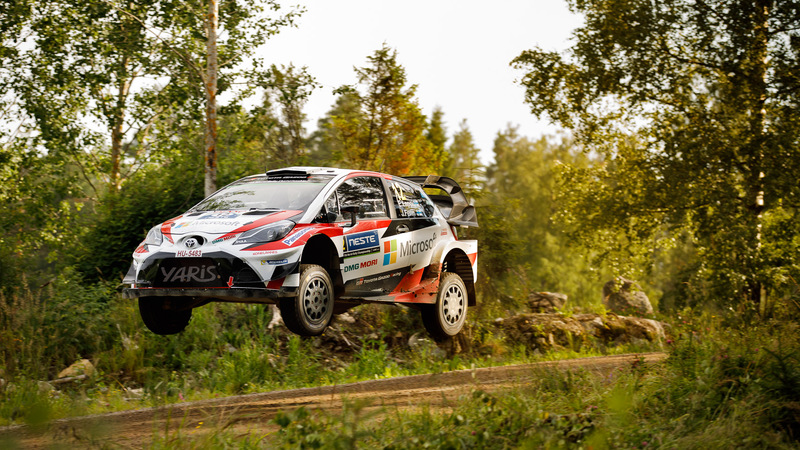 The photo above shows, Esapekka Lappi “flying” the Toyota Yaris WRC car in the Pihlajakoski special stage. 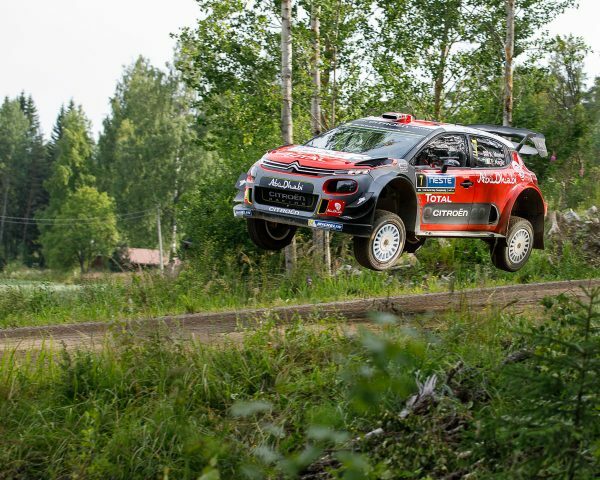 Esapekka secured a mighty popular first WRC win on his home event. I was fortunate that my friends had arranged for a unique and truly luxurious viewing place for this special stage. One of my friends had even arranged for me to deliver a workshop at photo dealer JAS Tekniikka in Helsinki after the rally had ended. I’ve done workshops for Canon and their customers in Finland in the past, but this was new to work directly with a dealer – and some assistance from Canon Finland too. The workshop focussed on customising the EOS 5D Mark IV camera, autofocus and wi-fi in the morning session. Then in the afternoon we worked through Speedlite flash. I spent the whole day working with my camera set to Finnish language menu’s – I don’t speak Finish. I maybe mad, but I’m pleased to say that I only made one error, deep in a wi-fi setting. Except for Arabic, all the languages in the camera keep things in the same place, so if you truly know the camera you can use it in any language. I’ve not taken to the M series so well. I have tried them a couple of times, but the need to buy another set of lenses for them, makes them expensive option. Yes you can use the adapter, but the point of going for small and compact is lost if you put a 16-35mm f/4L on the adapter on the M3. So I’ve done the obvious… I’ve purchased an EOS 200D / Rebel SL2 before Christmas. I love it. It takes all my lenses and flashes, has the same sensor and dual pixel AF as the M series, has the vari-angle LCD and a viewfinder. I have picked up a 24mm f/2.8 STM pancake lens but that also fits my other APS-C crop cameras. I’ve also been using my 40mm f/2.8 pancake lens on the 200D. So the key is to decide what is important in a small camera. For me; lens & flash compatibility and sensible price won out.